Also Kayaking, Tide Pool Exploration and Sea Shelling, Snorkeling, Speed boat racing spectator events, Parasailing, Water skiing and Sail Boards, Jet skiing, Riding Banana boats and pedal boats, Sail boating, Scuba Diving. Overnight camping is not allowed on the beaches in front of hotels or residential areas. However, there are a few places that are easy to reach by car, and have plenty of parking space where you can camp overnight. The only undeveloped beach front for overnight camping is at the north end of Algodones Beach, past the hotels and housing developments. Kayaks in the Estuario Soldado —Take off from the parking area near Pilar Condominios . It is a peaceful place to observe a variety of water birds. The water is only knee deep, but it flows along for more than a mile, parallel to the beach. Kayaks can be rented from this location if you haven’t brought themwith you. Take your snorkel mask when you visit the cove at La Posada Beach, Shangri-La Cove, and the cove at Piedras Pintas. They are great places to explore the tide pools. The best beaches for shells are the San Francisco Beach and Cochorit Beach. Shell collecting is best at low tide after a big storm has washed the shells ashore. Lowest tides occur in the winter months at the full moon. The shores of San Carlos offer many opportunities for divers (free and scuba) with a variety of interesting diving sites, training classes, and rental equipment. Scuba lessons and certification courses are available in San Carlos from private instructors from the United States and from local dive shops. Favorite diving locations are Martini Cove, Playa Algodones, Punta San Antonio, Punta Doble, and Cautin. San Pedro Island, opposite the Canon de Barajitas, is the rocky home to seals and sea lions. Don’t mess with the sea lions, they are bad tempered and they bite. The water is deep, cold, and clear, about 30 meters deep, and only 10 miles from the coast. It is a fine spot for fishing, snorkeling, and diving. El Himalaya is another rocky point with a channel up to 10 meters deep. Ensenada Grande and Ensenada Chica are protected bays popular with those with inflatable boats and small motor boats. These bays offer good beaches for beachcombers, and rocky peaks for divers and snorkelers. The 330 foot ferry, the Presidente Diaz Ordaz, was wrecked in a storm in Mazatlán. It was towed to San Carlos for repairs, but that never happened, so it was decided to sink the boat in its present location, in front of the Canon de Barajitas , for the enjoyment of scuba divers. Thirty minutes north of the Presidente Diaz Ordaz there is a sunken tuna boat, the Albatun, 180 feet long at a depth of 20 meters. There are also two artificial reefs for divers. Services: Diving, Fishing & Boat Trips. PADI certified diver training. Dive gear rental and service. Air and Nitrox refills. Lodging arrangements and air travel assistance. Five boats to serve you at O Dock, Marina San Carlos. Dive boat charter services for groups, from 4-6 to 36 divers. Featuring the Ocean Spirit , a Newton 46' twin diesel dive boat. Local diving or fishing trips in Mexican style aboard pangas. Sea kayaking, wind surfing, snorkeling, and small group scuba diving. diving on the twin engine Super Panga or spend a day whale watching or "Snorkel Sailing" on the 40' trimaran, The Windsplitter . Boating in the local waters is great all year long. 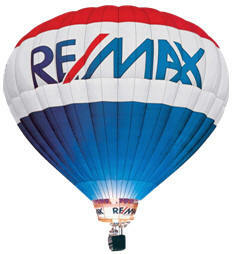 However, it is usually windy in March and April, and this may interfere with your plans to go boating or fishing. August is likely to have many stormy days. Cruising across the Sea of Cortez to Baja is limited to the good weather times. 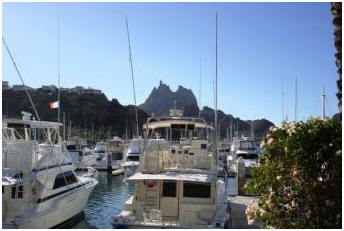 The cruising season in the Pacific and in the Sea of Cortez as well, is from November through May. This means that trips from San Carlos to Baja should be planned for that time of year. Mexico’s 3,315-mile Pacific coast generally enjoys fine weather. However, it has spells of seasonal bad weather. 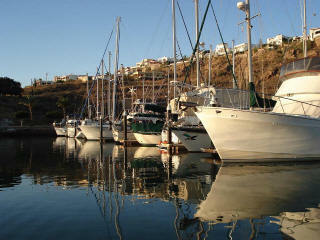 San Carlos has two marinas where you can charter a boat. You can rent kayaks and small boats at www.scaamexico.com and charter anything from a sport fishing yacht, a 40-foot trimaran to a full-size party boat. Charters are available through Team Margarita Sports Fishing at www.scaamexico.com or (520) 232-2103, Hattie Annie Charters at www.hattieannie.com or 001-52-622-197-1351 and Catch 22 Sportfishing Adventures or Dakota Charters. 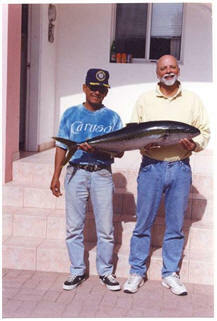 More information about charter boats is at http://www.sancarlosmexico.com/fishing.html. Separate fishing permits for boats are no longer required. However, anyone that intends in fishing must have a fishing license, and you are required to have $50,000 liability insurance on your boat at all times. Marina Real is a non-commercial marina, smaller and quieter than San Carlos Marina. It is located just around the bend from the Mirador Escénico on Punta San Antonio—a lookout point that gives a 360 degree view of San Carlos and the bay. Marina Real features 356 slips with accommodations for yachts to 80 feet. Services include fuel, fresh water, and electricity for each slip, fire safety devices, waste handling, and 24 hour security. Dry storage, haul out service, and a launch ramp are also available A pretty housing development next to the marina is a show place of beautiful yachts and sailboats. The walkway around the marina makes for a pleasant stroll past a row of beautiful homes, some owned by Mexican movie stars and playboys. The beach here is a popular place for jet skiing and wind surfing. 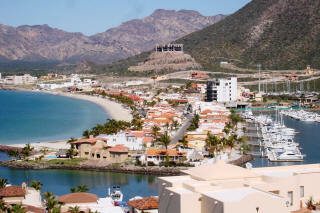 Marina San Carlos or the San Carlos Marina, is one of the largest natural ports in all of Mexico. The marina offers complete services for yachts to 60 feet, including a gas & diesel fuel dock, 10 ton crane service, launch ramp, launch and recovery service, 24 hour dock security, bathrooms, shower facilities and parking. Located in the heart of San Carlos and surrounded by shops, restaurants and marine suppliers, Marina San Carlos has 336 slips from 16' to 51' with fresh water and 30 amp electrical service. There are 30 outer bay moorings with dinghy dock access, and a nearby dry storage yard. Boating Guide to Mexico: West Coast Editions (1995). Guadalajara, Jalisco, México: Situr Marinas. 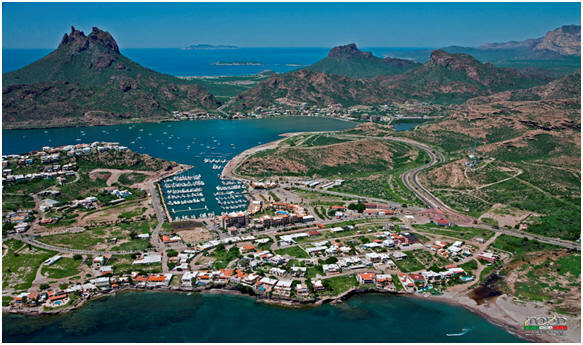 Cruising Guide to San Carlos on the Sea of Cortez . Jerry Cunningham (1997) Box 976, Patagonia, AZ 85624.
trimaran, or a full-size party boat. Even if you don’t fish, there are many pleasant spots to visit by boat. The places below are close enough to be reached in a small boat or even in a kayak. The distances are measured from the San Carlos Marina . This is a favorite spot for kayakers. You can experience excellent snorkeling in the little protected cove adjacent to the MarinaTerra Hotel Beach Club . Don't miss it. This becomes the favorite spot for snorkeling of anyone who has been there. These waters are unbelievably clear and beautiful, filled with beautiful fish and starfish. It is no wonder that Gary’s Dive Shop calls this “The Aquarium” and chooses this spot for training beginning divers. This is a peaceful place to spend a day aboard your boat just dreaming or picnicking. There is also a nice little beach for kayaks. It is fun to explore this tiny island, which is in front of the Creston beach. You can walk around this island in half an hour, but stay off the top because this is a protected environment. The pebble beaches are a treasure ground for shells and rocks. The shells there are a little different from the ones found on the San Carlos beaches. Take your kayak or a rubber dinghy, you’ll have to swim the last few yards from where you can anchor your boat. If you enjoy spending the morning at the beach, take a picnic lunch along on the next beautiful day and explore some of the beaches that are more out of the way. For example, some of the loveliest beaches listed below are accessible only by boat, and they are especially clean and peaceful. Most of the local restaurants will prepare box lunches for boaters if you are too busy to pack your own. There is an excellent map of the area in Cunningham's book, Cruising Guide to San Carlos on the Sea of Cortez. All of the anchorages listed below are less than 30 miles from the San Carlos Marina .The last two make good overnight trips. Before you head out for an overnight, check on the wind forecast. Martini Cove 1.5 miles 10 min. Calleta Lalo 4.0 miles 20 min. Sonora Bay (Bahía Algodones) 6.0 miles 30 min. The first three anchorages can also be accessed from the highway, the others can only be reached by inflatable boat or kayak. From late fall into spring, there is good bottom fishing in and around the many islands and points in the area. Target species include red snapper, sea trout, yellowtail, and sea bass. I am sorry to say that fishing in San Carlos is not as good as it was five and ten years ago. Commercial fishing boats ranging from small pangas to huge fishing fleets have over-fished the area, using illegal nets, and ignoring limits of size and number. Nevertheless, fishing and boating sportsmen have been able to bring in a good catch and have landed sailfish, marlin, and dorado of impressive size. The Convention and Visitors Bureau office is on the westbound lateral in the center of town. The Cooperative fishing office at the turn off to Marina Seca Dry Storage. You may not need a license on a charter boat-ask at the time of reservation. Each fisherman is permitted to catch up to ten fish a day, but no more than two halibut (also called flounder or lenguado) or dorado, and no more than one marlin and one sailfish. Taking of lobster, clams, cabrilla, oysters, and sea turtles is prohibited. You cannot sell or trade fish without a permit. Fishing regulations, license fees and other information is online at Mexican Sport Fishing Regulations. The Sea of Cortez (Gulf of California) has a wealth of fish of many varieties. In summer, anglers go after the deep-sea game fish: marlin, dorado, tuna, and sailfish. You can rely on your boat captain to take you out to the places where the big ones are. If you don’t have a boat, you can fish from shore with moderate success. Shore fishing, better in the fall, brings in croaker, halibut (linguado), mackerel, sand bass, sea perch, and triggerfish. The best time of day for casting from shore is 30 minutes before sunrise (about five or 5:30) until 12:00 noon. No license is required to fish from shore. Fishing from docks in the marinas is prohibited. In the fall, trolling for yellowtail is a favorite sport and bottom fishing is excellent. For those who like light trolling, barracuda, bonito, shark, skipjack, and sierra can be taken. In the winter months, December, January, and February, bottom fishing continues to be very good. There are numerous places to go bottom fishing and you probably won’t need a big boat or a guide for this. The fish caught in this area in the fall and winter include the following: cabrilla, calico bass, croaker, corvina, grouper, red snapper, sea perch, triggerfish, Pacific whitefish, and yellowtail. Fish live around the submerged reefs, which usually connect underwater reefs to rocky points on shore, or small islands poking up out of the water. Big fish (yellowtail and grouper) are out around San Pedro Island . For bottom fishing, you can fish from a boat anchored over the reefs or a sea mount such as La Homa. Bottom fish are found over the rocky reefs in front of Punta Doble, Punta San Antonio, around Isla Venado and San Pedro Island. When you don't want to go out very far, try La Homa, which is a sea mount.